Whether you’re thinking about buying or already own a vacation rental home in northern Michigan, here’s what you need to know to succeed. Northern Michigan is a phenomenal location to own a vacation home, and renting out your home while you’re not using it with friends and family can be a great way to offset the costs of homeownership. But there are many challenges to buying, owning, and renting a vacation home. You need to know the area and what you want in a home for your own use and enjoyment, plus what your home should have to attract renters. You’ll need to be familiar with local tourism, real estate trends, and the state and local regulatory environment. In addition, you will need to plan how you will maintain your home and manage your rental property from a distance without diverting too much of your personal time and energy away from your other priorities in life. All of this can make the prospect of owning and renting a vacation home very daunting. There are many hurdles to overcome. To make your dream come true, you’ll need to overcome those obstacles in the least difficult and time-consuming way possible. While we can’t tell you everything you’ll need to know about it in one blog post, we can give you a good head start and help you focus and prioritize your efforts. 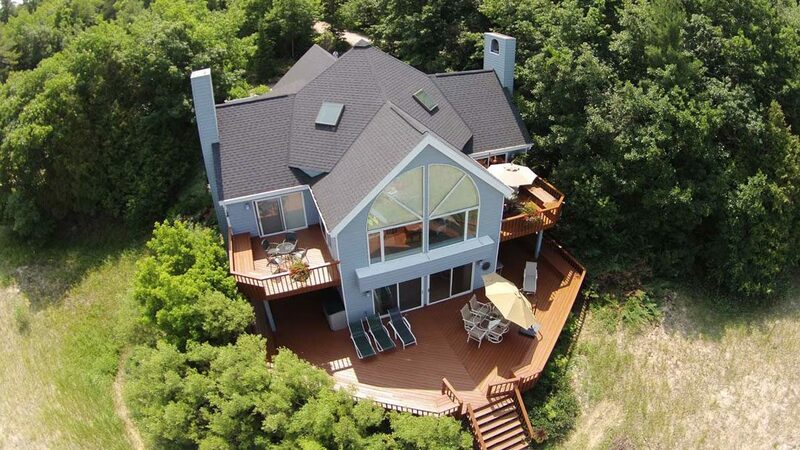 Northern Michigan has plenty of advantages as a location to own a vacation home. The area’s natural beauty and rich history attract visitors from all over the world, with destinations from Sleeping Bear Dunes, voted the “The Most Beautiful Place in America” by Good Morning America, to historic Mackinac Island, where you can step back in time to the colonial era. The comfortable warmth of the summer climate provides the perfect escape from the extreme heat in the Midwest and South, and the sunsets over Lake Michigan are spectacular! The area offers a wide variety of destinations and activities all year round. The spring and summer months attract visitors seeking to go boating, sailing, fishing, canoeing, kayaking (and snow kayaking! ), paddleboarding, horseback riding, golfing, hiking, biking, beach-bumming (no sharks! ), and much more. There are concerts, music festivals, art festivals, car shows, and a host of other annual events. For the more adventurous, there is skydiving, parasailing, and zip lining. The fall colors attract visitors seeking to get away from the hustle and bustle of city life and get out into the country for some fresh air and a relaxing scenic drive along the Lake Michigan shoreline. In the winter, people come to northern Michigan for downhill skiing, cross-country skiing, and snowmobiling. The northern lower peninsula is also centrally located for day trips south to the Sleeping Bear Dunes area or north into the Upper Peninsula (“the UP” as we refer to it), where destinations include the Pictured Rocks National Lakeshore, Tahquamenon Falls, and the Seney National Wildlife Refuge. Michigan’s quaint towns with their picturesque and historic downtowns also appeal to many. Residents and visitors alike enjoy the slower pace of life here, the causal living, and the strong sense of community. Towns like Harbor Springs, Petoskey, and Charlevoix offer a wide range of unique shopping and dining experiences. The area also has numerous craft breweries and wineries. Northern Michigan is also a great place to retire, with the state boasting a lower cost of living than the national average. The area also has some of the best hospitals in the state, with Munson Medical Center in Traverse City ranked fourth and McLaren Northern Michigan Hospital in Petoskey also making the top ten, as ranked by US News & World Report. Before you start looking, be sure you know what you want in a vacation home. Take some time to consider what criteria the home should meet and then prioritize them. Which criteria are essential and which could you do without? Are you looking for a lakefront cottage, a rustic hunting cabin, or a luxury home? Do you want to be in a secluded area surrounded by nature or walking distance from downtown? By having a good idea in your mind of what your ideal vacation home would look like, you’ll be able to more easily narrow down your search. Once you’ve established your criteria, you can use any number of available tools, such as mobile phone apps, to search for listed real estate in the area. Compare different areas of northern Michigan and what you can get for what price. This will help you establish reasonable expectations given the amount you want to spend to purchase, upgrade, and furnish your home. Also be aware of the downsides of owning a vacation home. Your family might not be able to vacation Up North as often as you’d originally intended. You might run into greater upkeep costs than you’d expected. Also, real estate does not always increase in value. As we learned with the housing bubble that peaked in 2007, the market can turn around, expectedly or otherwise. Since you’re looking for a vacation home your family can return to year after year, you’ll want to consider the longer-term as well as current trends in real estate. With respect to current real estate trends in northern Michigan, sales are up. Here in Emmet County, through October 2017, the median sales price rose 14.9 percent from 2016, and the number of homes sold increased 6.95 percent. And while there is an increase in new construction, there remains an inventory shortage. When the housing bubble burst and demand dropped, many skilled workers left our area or the state in order to find other work. There was less new home construction for a considerable period of time, resulting in a dearth of five- to ten-year-old homes today. There is also a lack of so-called “affordable homes”, in the $100,000 – $250,000 range. Builders are finding it hard to keep up with demand as a result of so much skilled labor having left the area. Despite the increase in sales, the number of listings has been falling for the past couple years. Simply stated, there is not enough supply to satisfy the demand for homes in northern Michigan. There are also trends in new home design for our area that you might want to be aware of. For one, people want “smart homes” now where they can control security systems, thermostats, and lighting from an app on their phones. More attention is being placed on outdoor living spaces and more efficient use of interior space (a “build it better not bigger” mentality). As well, there’s more emphasis placed on energy efficiency. Another major trend is toward in-town living. While it’s hard to beat northern Michigan as a place to enjoy the quiet solitude of nature and get away from it all, more and more home buyers want to be in “walkable communities”. Being on the lakefront or having more privacy with fewer neighbors are still high on many people’s list, but the trend is toward being in town within walking distance or a short drive from restaurants, shops, bars, parks, movie theaters, beaches, lakes, skiing areas, and golf courses. In addition to familiarizing yourself with the area and the market, there are state and local laws and regulations you’ll want to be aware of. You’ll want to keep abreast of relevant tax laws and how any changes to them might affect your family’s investment. If you’re intent on buying a waterfront property, there’s a whole other set of laws that will apply, related to issues like access rights, dock limitations, deed restrictions, easements, and construction or improvements. Also be aware that you can face a higher property tax burden if your property is not considered by the state to be your homestead. Regulations and ordinances relating to vacation rental homes also vary by municipality. If your goal is to offset the costs of homeownership by renting it out while you’re away, you’ll need to be aware of these. For example, Traverse City prohibits vacation rentals in residential zones, where only licensed “tourist homes” that are the owner’s primary residence are permitted to operate. Petoskey has also banned vacation rentals in residential areas, apart from certain homes that were grandfathered in when the city passed new regulations in 2014. Charlevoix is also presently considering using zoning regulations to impose restrictions on vacation rentals, short of an outright ban. Once you’re ready to start looking for a northern Michigan vacation home, you might want to find an agent with expertise in property and rental management who can help you wade through the waters to avoid being overwhelmed by the complexities of the local market. Our own real estate sales division services primarily the Harbor Springs, Petoskey, Cross Village, Alanson, Charlevoix, Boyne City, and Glen Arbor areas. One of the special considerations of owning a vacation home “Up North” is our winter weather. You’ve made a huge investment in buying the home. Now you’ll want to maintain it, or even make improvements to increase its value. If you’re going to rent out your vacation home, improvements can also make it more appealing to potential guests. If your home is neither in use during winter nor properly winterized, it could lead to costly damage. If you’re renting it out while you’re gone during the winter, you’ll need to have someone clear the walks and plow the drive, among other snowy weather considerations. Whatever the season, you’ll have property maintenance work to be done, both interior and exterior. Indoors, you’ll need to maintain your heating, ventilation, and cooling equipment. Your carpets will need routine cleaning from normal wear and tear. You’ll want to install durable appliances and other products that are easy to clean for rentals. Outdoors, you may have a lawn and patio or deck to maintain. Windows, roofing, and siding need to be monitored and repaired or replaced if necessary. You might want to monitor heat loss and make updates to improve energy efficiency and reduce costs over the long term. Then there’s driveway upkeep, such as resealing, paving, or regraveling—plus plowing and shoveling in the winter. Each spring requires routine monitoring and maintenance, from checking plumbing and roofing to cleaning up fallen brush. For more, see our spring checklist for rental property management. One option worth considering is to hire a professional property manager to help with both regular upkeep and the renting of your vacation home. Learn more about Birchwood Property Management’s HomeWatch Program and our services, including drone inspections and thermal imaging to detect heat loss. While renting your home when not in use by your family or friends can be a great way to offset homeownership costs, the challenge can be daunting. One decision you’ll need to make is whether to go it alone and rent-by-owner (RBO) or partner with a professional vacation rental management company (VRM). If you’re entrepreneurial and enjoy the challenge of learning new skills, the RBO route might be right for you. If you’d prefer to spend less time dealing with the complications and logistics of trying to manage a rental business from afar and spend more time doing other things, like more quality time with your family, then you’ll probably want to partner with a VRM. There’s a lot to consider before you’ll be able to gain the confidence you need that you’re making the choice that’s right for you and your family. You’ll need to know about applicable laws and regulations, accident prevention and emergency preparedness, the right kind of insurance to have, and tax liabilities. You’ll want to have a thorough and legally binding rental agreement, and you’ll want to know how you’ll advertise and market your home, how renters will be able to book, what payment methods you’ll accept. Then there are the logistics of managing your property while you’re away. 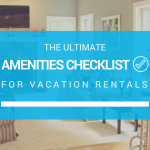 In addition to routine home maintenance, you’ll need to keep your home stocked with guest amenities and have check-in and check-out procedures. Are they licensed as required under state law and properly insured? Are they an established business with much experience? Do they ensure compliance with tax laws, labor laws, fair housing laws, and insurance; and will they act as my advocate with state and local government? Do they use Trust Accounting, and will I receive detailed statements and a year-end 1099 form for my tax return? Do they offer property damage protection insurance and liability insurance to protect by guests and my property? What resources do they have to care for your home? Is their fee all-inclusive, or will I need to pay extra for things like advertising and marketing? How will calendar availability and bookings be managed? What are their check-in/check-out procedures, and how do they maintain my home’s security? To help you gain the confidence and knowledge you need to achieve success, we’ve put together a free 30-page guide for you to download. Our “Insider’s Guide to Renting Your Vacation Home” will help you understand what you need to know to rent out your home, what options are available to you, how to determine which options are right for you, and give you insightful tips for how to maximize your rental revenue. Get your free 30-page vacation rental guide now! There’s a ton to consider when it comes to owning and renting out a vacation home. Beautiful northern Michigan is a highly appealing location to own a vacation home, and renting it out when you’re not using it can be a great way to offset homeownership costs. While it’s not possible to learn everything you need to know in one blog post, hopefully we’ve helped you gain clarity and focus and given you knowledge you can use to get a head start down the road to success. 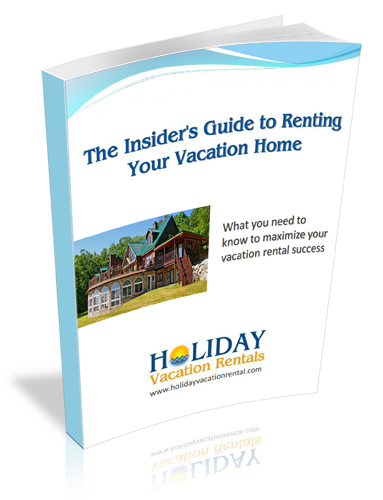 Take the next step on your journey right now by downloading The Insider’s Guide to Renting Your Vacation Home! 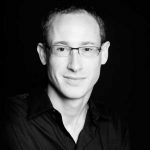 Jared Hammond has over a decade of experience in the real estate industry including real estate sales, property management, and condominium association management. Hobbies include camping, hiking, home improvement projects, and making the finest maple syrup south of Canada.